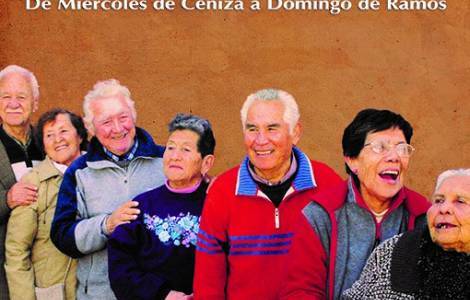 Santiago (Agenzia Fides) - "Your contribution and my experience are important" is the title of the campaign for the Lent of Fraternity 2018, promoted by Caritas Chile and aimed at assisting the most vulnerable elderly, to try to cope with what the Bishop emeritus of Temuco, Mgr. Manuel Camilo Vial, already in 2012 defined "an invisible but latent humanitarian catastrophe". In the last three years Caritas has carried out several initiatives to raise awareness on the contribution of the elderly to society through their knowledge and their memories. José Tomás Silva, executive secretary of the organization, in a statement sent to Agenzia Fides explains the expectations: "It will be a difficult campaign, because Lent begins in February, when almost everyone is on holiday (in Chile, February is comparable to August in Europe, ed), but it will also be special, because it begins shortly after Pope Francis’ visit". "A novelty - Silva continues to explain - is that this year we will demonstrate how the proceeds of the collection are invested, through spots presenting the four lines of action on which we are working: respect and living together, integral health, participation and public impact, accompaniment and spirituality". The protagonists of the campaign, given that Lent begins on February 14th, Ash Wednesday and Valentine's Day, are Morelia and Luis, married for 60 years, at the service of the Church for solidarity initiatives. They both launch an invitation to all young people to "participate and work for the Church, for the poorest, for the most needy and for those who have problems".